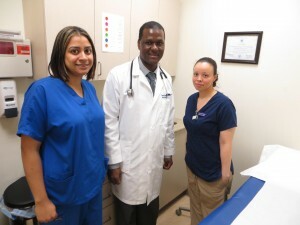 Welcome to MedCarePlus Immediate Care and Walk-In Clinic. We are a convenient alternative when you need care now and cannot get a timely appointment. Our mission is to provide speedy, excellent, inexpensive medical care to patients of all ages, with attention to the unique needs of each individual. We are conveniently located on Westchester Avenue and Bronx River Parkway in the Bronx. You will be served by a Board Certified Doctor, and will receive attentive and personalized care for you and your family. We will take care of your concerns and give you peace of mind that all your healthcare needs will be met in a timely manner. Our experienced, compassionate staff offer same-day care in a dedicated medical center so you can get back to feeling better sooner. We are here for you with quality health care you can trust when you need it the most. From upper respiratory infections to urinary tract infections, we provide fast, friendly and state of the art medical care. You will be treated by our Board Certified Doctor, who is a Diplomate of the American Board of Family medicine.